Supernova Bath Bomb | £3.95 // This is one of the few Kitchen products that I have actually tried although I couldn't really remember the scent very well. It actually shares the Celebrate and Golden Wonder scent which is orange, lime and cognac. This was a very slow fizzer and sadly wasn't that great to watch. The pieces of confetti lost their colour pretty much straight away and ended up dissolving so I was left with pink water. I prefer the effects of Golden Wonder if I'm honest. Bon Bain Bonnard Bath Bomb | £3.95 // I can remember this bath bomb but I don't think I ever tried it. I love the design but I'm not a huge fan of the scent. I think it's a bit too floral and soapy for my tastes although I will still use it. Prince Shower Gel | £11 // This is a very fruity shower gel and will be perfect to use in the summer. It's a mix of lemon juice, neroli oil and orange absolute. 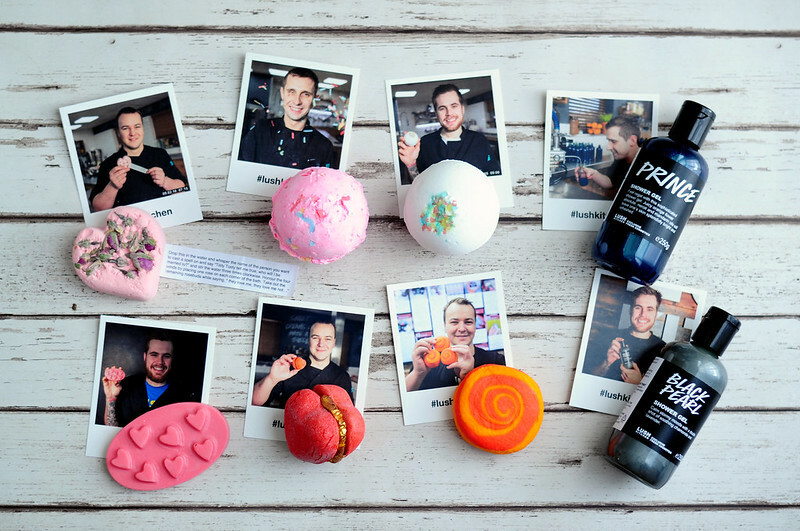 Karma Bubble Bar | £3.25 // This is the original design of the Karma Bubble Bar and I actually prefer it to the newer version. The scent is just the same and one of my favourites. Black Pearl Shower Gel | £11.25 // Finally after a couple of tries, I finally have a bottle of Black Pearl! It sold out too quickly the last couple of times it was brought to the Kitchen but it looks like everyone has already bought a bottle as I was able to buy it later on the day it was released. The scent is lavender and chamomile. Tisty Tosty Special Edition Bath Bomb | £3.50 // This has the same scent and design as Tisty Tosty from the permanent range but is tinted a lovely peachy pink colour. There is also a special note inside. This isn't one of my favourite bath bombs but I did want to try it. There are floating rose petals mixed into the bath bomb that are released as it fizzes away. 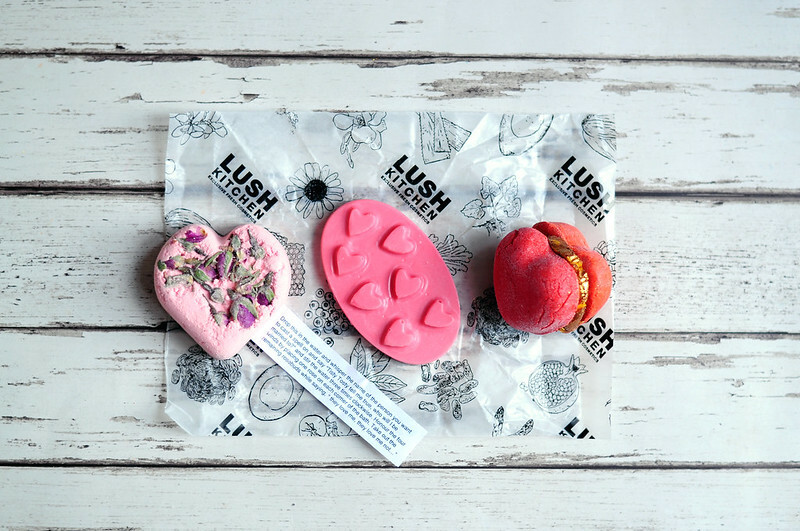 Love Spell Massage Bar | £5.95 // This is another one that was an Oxford Street exclusive but was available online through the Kitchen. I don't often buy the massage bars as I tend to ask for them as samples which are free. The rose and neoli scent of this one drew me in and I couldn't resist buying it. Heart Throb Bubbleroon | £4.25 // This bubble bar shares it's scent with African Paradise Body Conditioner and it's one of my favourites. I even still have a small amount left over from the one I bought last year as I didn't want to be without it and made it last as long as I could. Luckily this was brought out in the Kitchen as well as being available from Oxford Street but I think it should have been available in all stores. I wish I had bought more as it's one of my favourite bubble bars. I also feel like this years is slightly bigger although it could just be my memory. I love the gold centre that acts as the jam in the bubbleroon. That massage bar sounds divine.